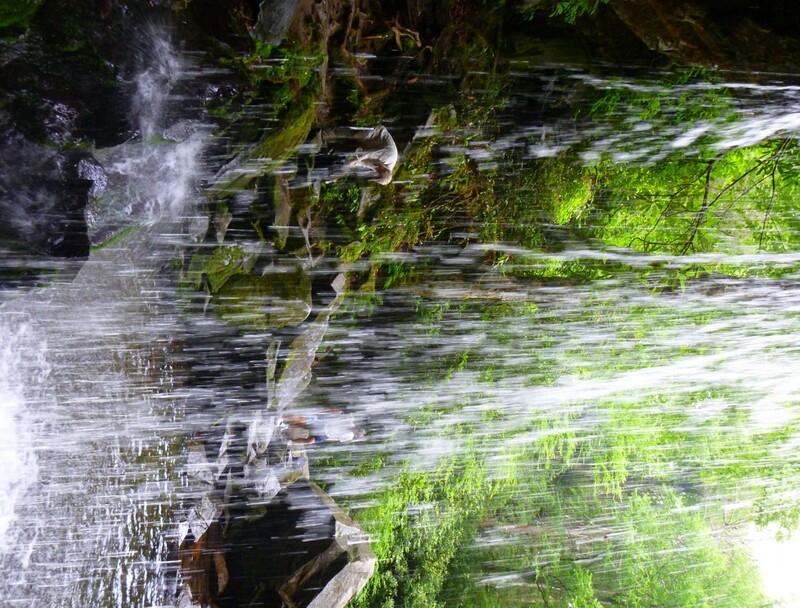 Posted by Jenny in hiking, nature, Smoky Mountains. 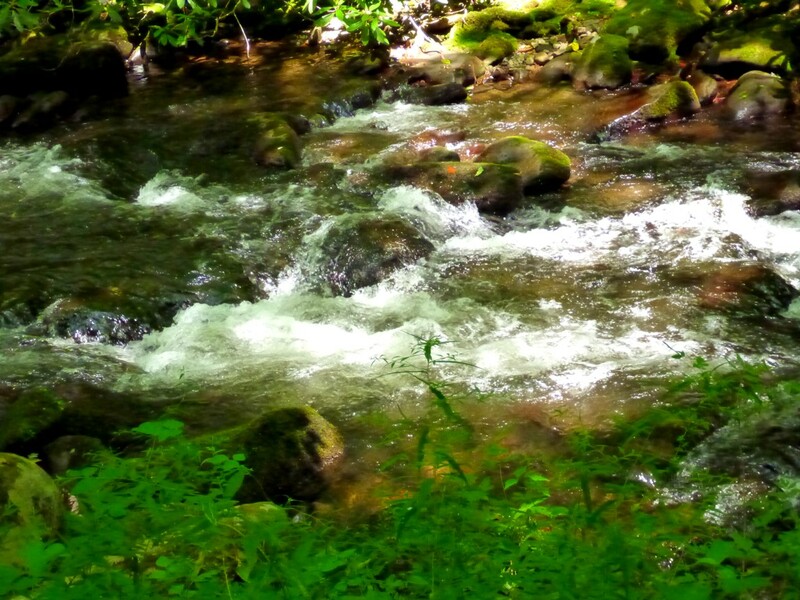 A stream in the Smokies. I will not say more. I never would have done this hike under normal circumstances, but I’m very glad I did it. The other day, while gardening and moving around bags of compost, I got careless and ended up mildly straining my back. I’ve been through this routine before—it all has to do with proper lifting technique. I appreciate this especially since my former companion Bob worked for UPS and was constantly being trained and retrained about lifting heavy objects. I rested for a day after the incident, then did a challenging hike, and the next morning realized I’d overdone it. Getting out of bed—ugh! Had to roll to the side. I rested another day. But I must keep active! 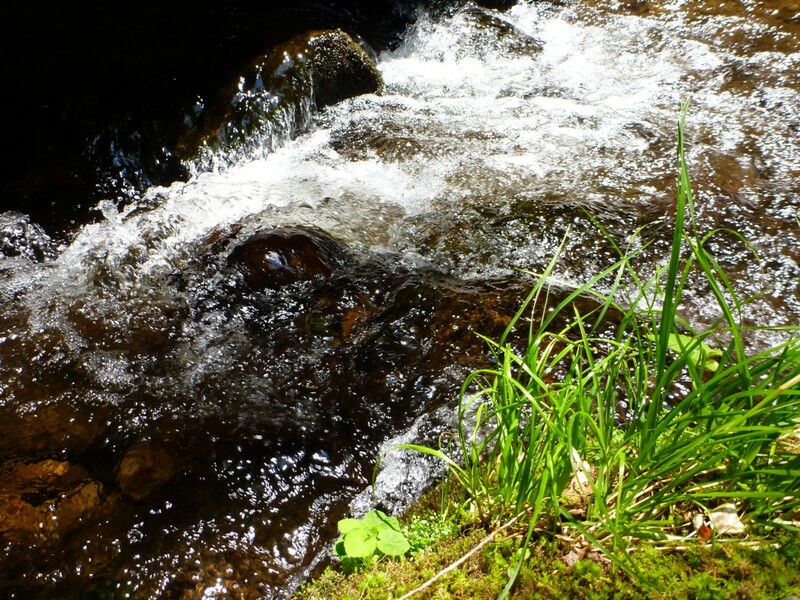 On July 8 I lead the Roaring Fork hike for the hiking club—can’t let myself be a slug! I did some intensive Internet searching under “back strain,” and found information that said that walking was good as long as it was on even terrain and not too steep. Amazingly, I’d never been on that road before. Well, maybe not so amazing considering my preferences in hiking—I have no interest whatsoever in the Lakeshore Trail. But I arrived at the Noland Creek trailhead, dropped down on a steep rough pathway that I soon realized wasn’t the real trail, but before long connected with the nice graded trail up Noland Creek. I’d decided that since I couldn’t climb, I’d walk as fast as I could. Why not jog? I’ve tried it a few times and hated it, hard to say why. Maybe the repetitive pounding. So I walked very fast for 45 minutes until I came to the third bridged crossing of the creek. 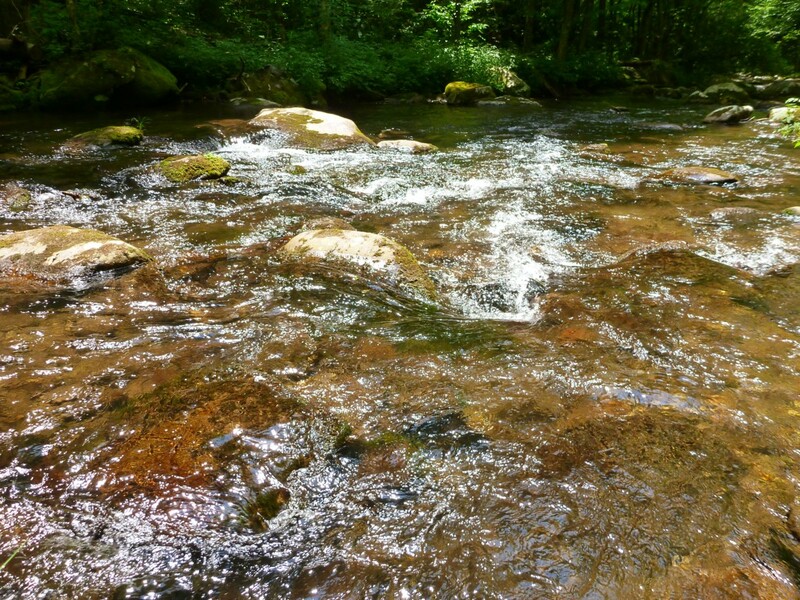 As on a previous trip to Deep Creek, I found myself fascinated by the patterns of water. Water rushing over rock, why is that so wonderful? 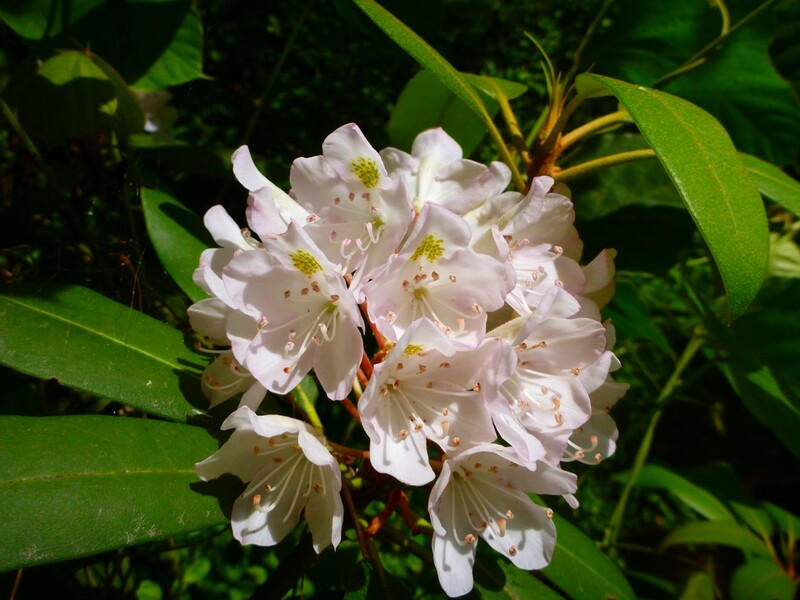 The thing besides the water that amazed me this day was the rosebay rhododendron, everywhere, climbing steeply over the trail, singing out with its blossoms all along the stream, the hillsides, just out of pure exuberance. All along the stream, in a world of green. Repeated infinitely throughout the forest. 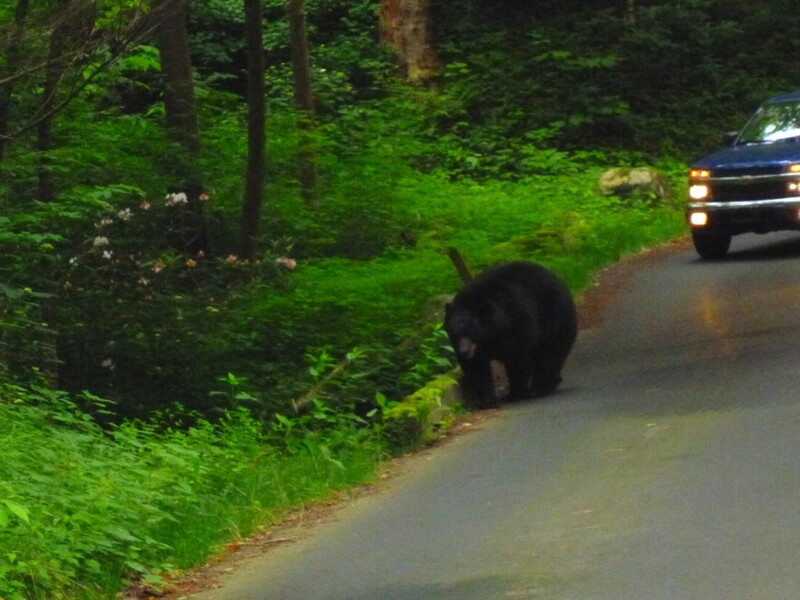 Posted by Jenny in bushwhacking, Smoky Mountains. This was a trip up LeConte that left the Trillium Gap trail at Grotto Falls and followed Roaring Fork to its headwaters. Brian Worley and I were scouting the route for an outing with the Smoky Mountains Hiking Club that we will lead July 8. The SMHC does this hike every five or six years—it’s a classic. 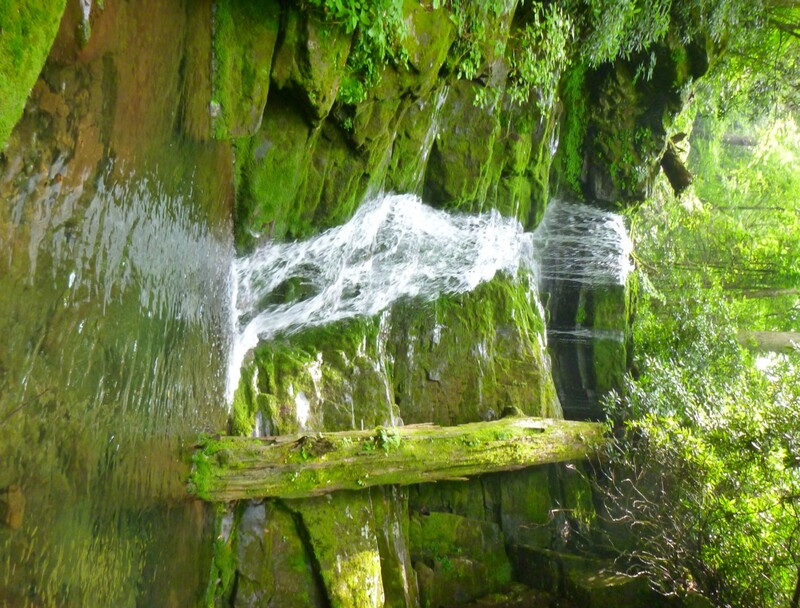 Roaring Fork tumbles over an endless series of cascades from its very steep heights. If you look at a contour map, you’ll see that the section in the mid 5000′ range is especially vertical. Not far above Grotto Falls is a cascade that flows into a deep pool. Doesn’t everything look lush and green? At 4600′ we looked for a major split in the stream. The left fork goes up a valley that intersects a switchback on the Trillium Gap trail, climbing less steeply and hitting the upper T.G. trail northeast of the lodge. The right fork has the big waterfalls on it. This is where we had what I will call the Ken Wise Distraction. Wise’s elegantly written book about Smokies trails includes a description of what he calls the Roaring Fork trail—although it is not a trail. He talks about Twin Falls and Dome Falls, which sources agree are on the right fork. But his directions call for going to the left and eventually hitting the Trillium Gap trail 0.6 miles below Roaring Fork’s source at Basin Springs. He doesn’t mention the lower meeting of the left fork with the trail’s switchback at 5200′. I am still puzzled about all this. 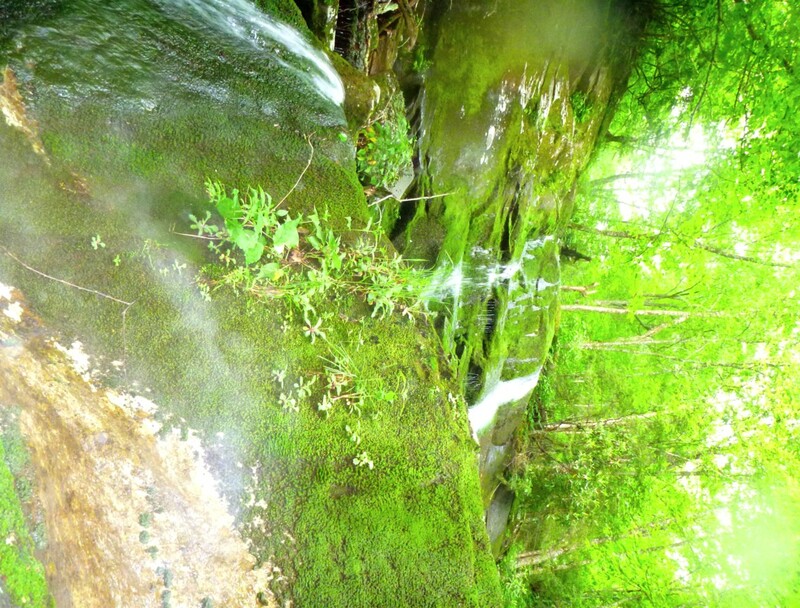 We took the right fork and came to a waterfall well over 100′ high. 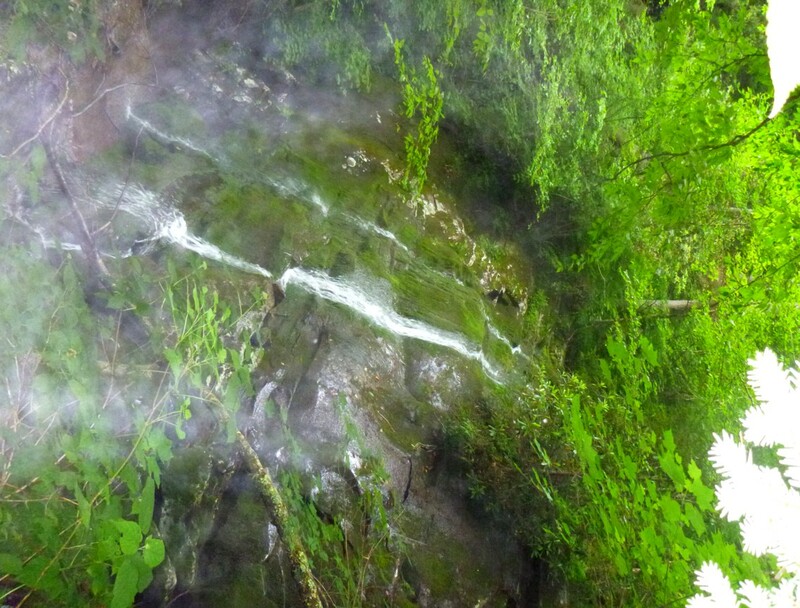 This might have been Twin Falls—but I’m not sure. I arrive at that conclusion simply because of its height, not because it fits the description in other respects. But maybe there’s no need to obsess about the “correct name” for a waterfall rather than simply enjoying it. 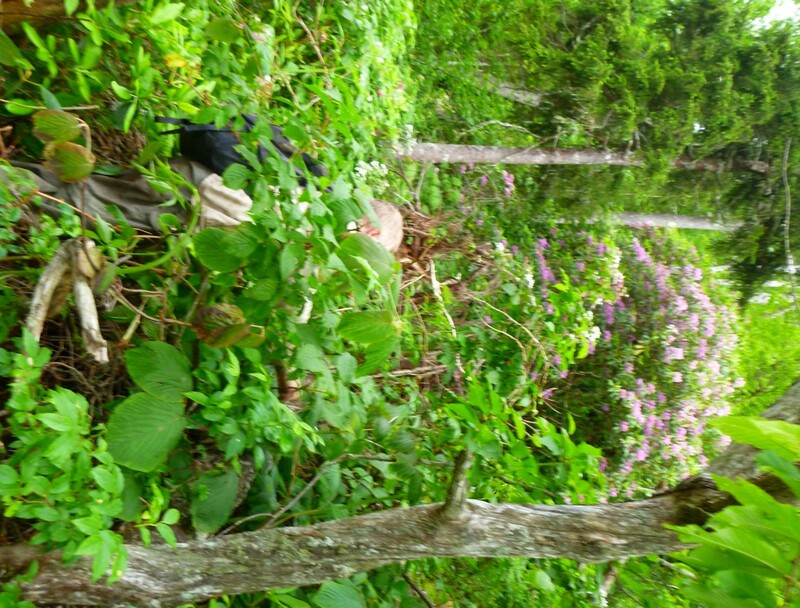 Eventually we reached the top, encountering a bit of vegetation along the way. 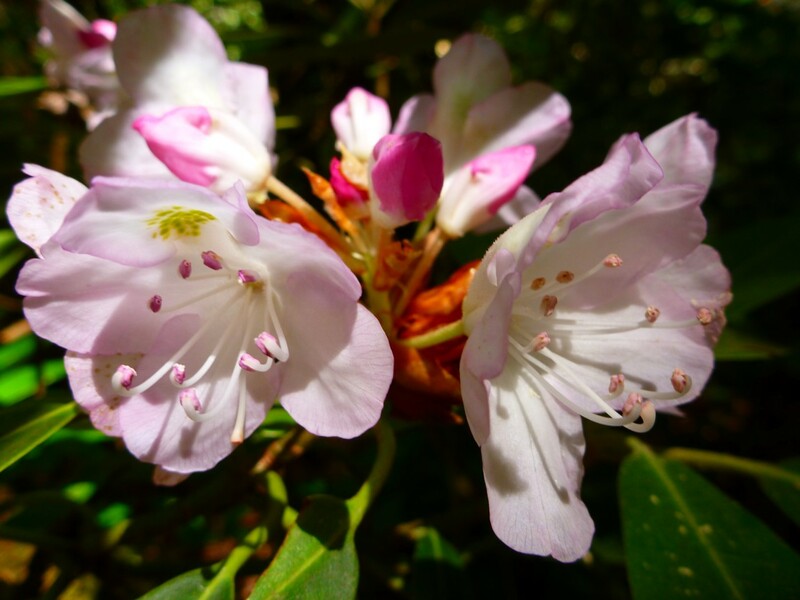 Brian is swallowed up by the vegetation—but isn’t the rhodo pretty? As we sat on a bench having something to eat, a familiar-looking person came by. It was Alan Householder, who ran the llama trains up to the lodge before a hiking accident in New Zealand did in an already troublesome knee. He has many hiking achievements to his credit and has explored off-trail all over the Park. He recognized me and said he had my book, “Murder at the Jumpoff,” with him up there—would I sign it? Of course, I was delighted to do so! Posted by Jenny in conservation, history, nature. Last week Brent Martin and Jill Gottesmann of the Wilderness Society took me on a tour of a place on the Little Tennessee River called Cowee, located north of Franklin. 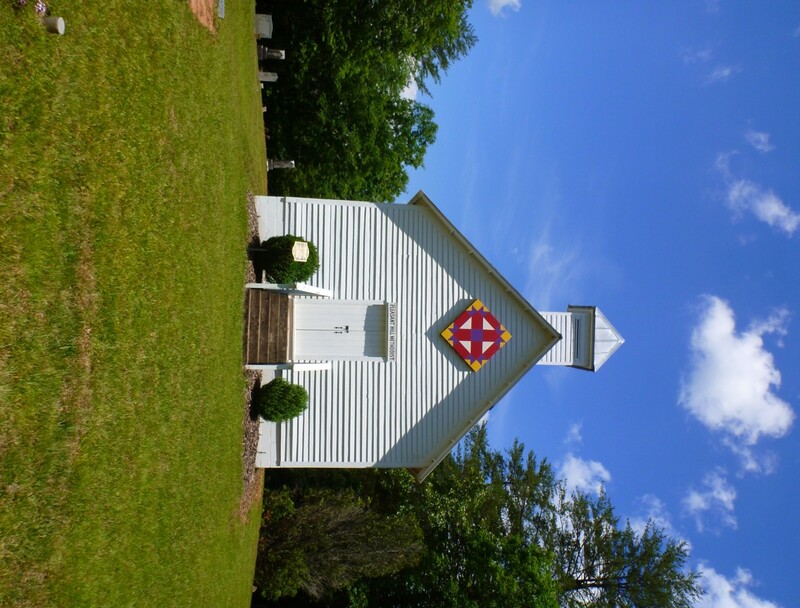 It started its life as a large Cherokee village centered around a mound created c. 600 A.D. However, much of the village was destroyed in conflicts with English settlers and soldiers during the period between the French and Indian Wars and the Revolutionary War. A large council house that stood on the mound was burned. And a few decades later, of course, most of the Cherokees were forcibly transplanted to Oklahoma. 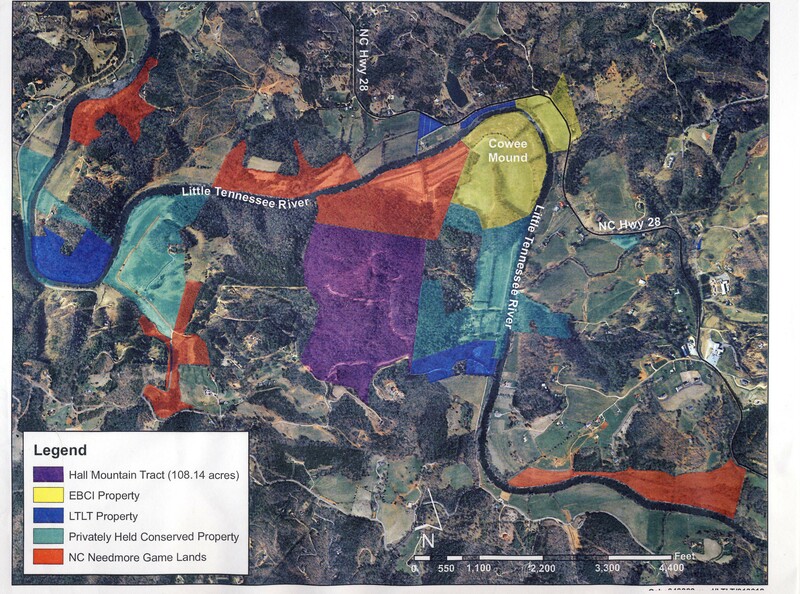 The dangers now come in the form of development and suburban sprawl rather than marauding settlers, but it’s heartening to see that conservancy organizations such as the Land Trust for the Little Tennessee (LTLT) are working with the state of North Carolina and private landowners to preserve this historic area of green, secluded valleys and forest-clad mountains. For instance, LTLT conserved a parcel between the river and NC Highway 28 that had been targeted for development as riverfront RV lots. This parcel will provide a place with interpretive signboards where people can pull off the highway for a good view of the mound. 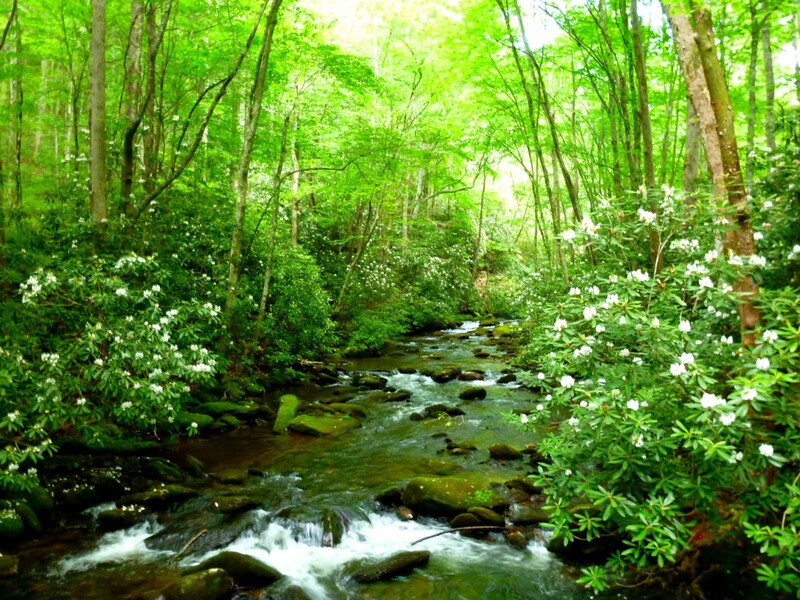 A major preserve was created in 2004 with the state’s purchase of the Needmore Tract, which fronts 26 miles of the Little Tennessee. 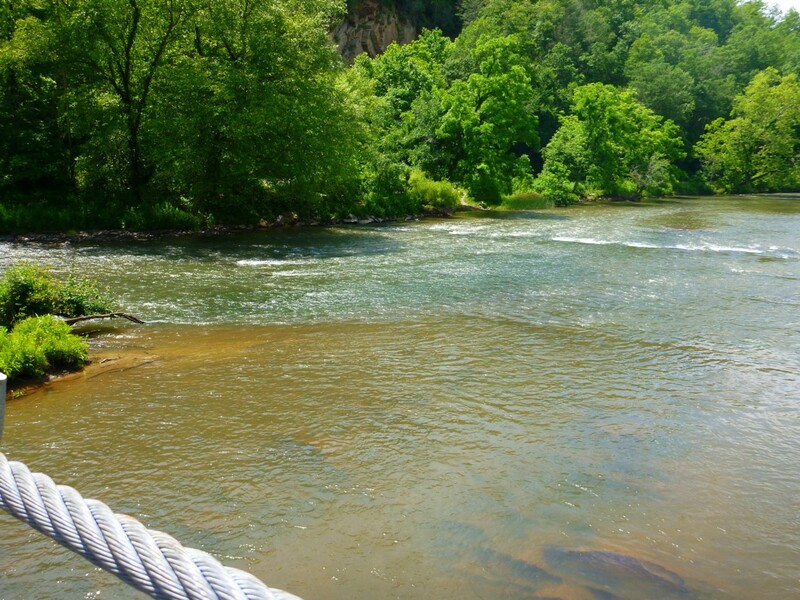 It’s a corridor that connects the Nantahala and the Cowee mountain ranges—important for linking different locations of plant and animal species. 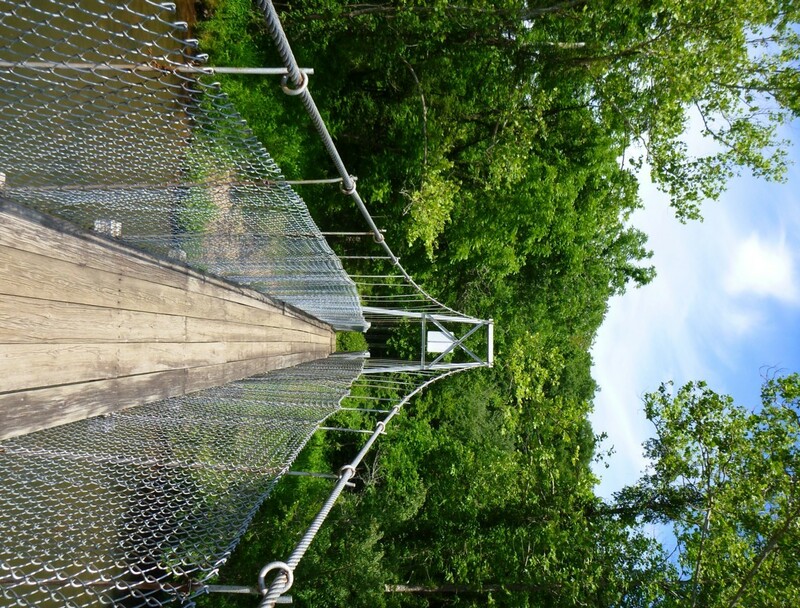 Brent and Jill and I walked over one of several swinging bridges across the river. The bridge bounced as we walked on it—fun! 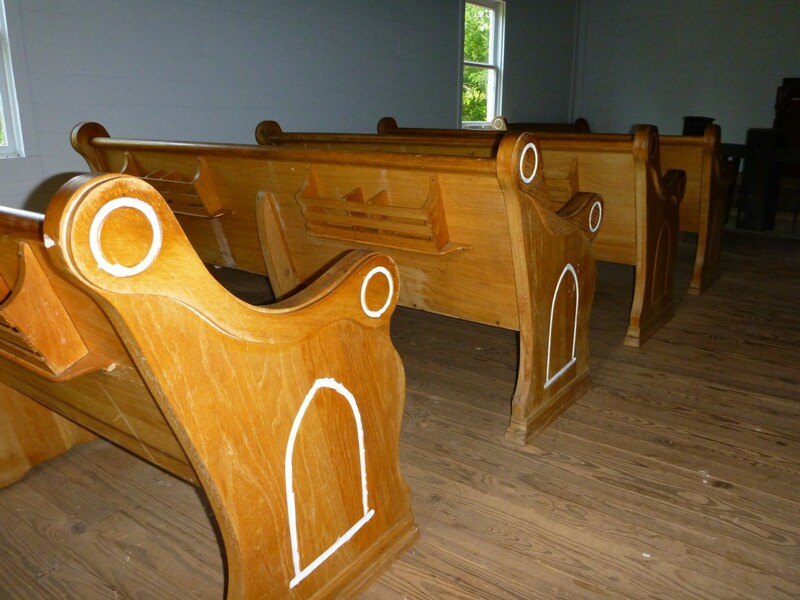 We experienced another period of Cowee history when we visited the Pleasant Hill Church, the place of worship for a thriving African-American community that existed after the Civil War. There are many old houses and farms in the area. This house needs repairs, but its construction out of huge beams is impressive. This house looks to be a hundred years old at least. 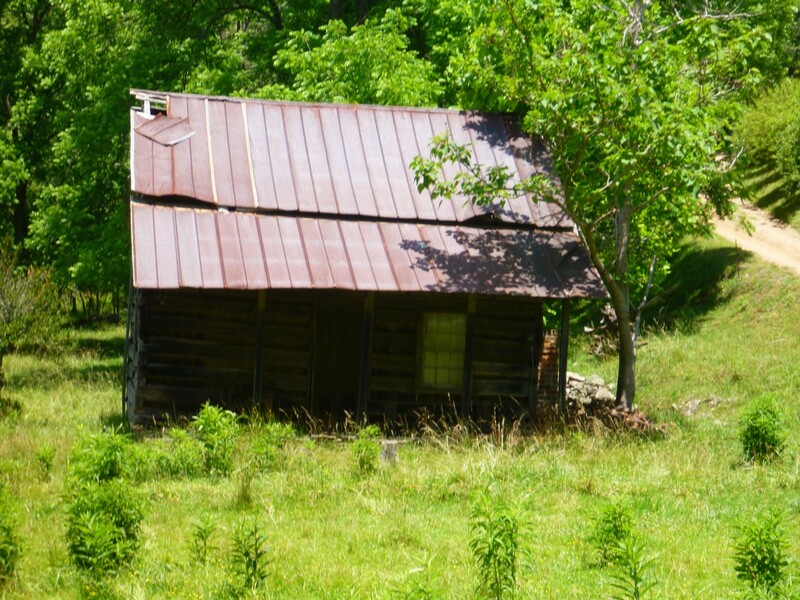 Another interesting structure in the area is the Rickman General Store, built in 1865 and operated by Thomas Rickman from 1925 until 1994. 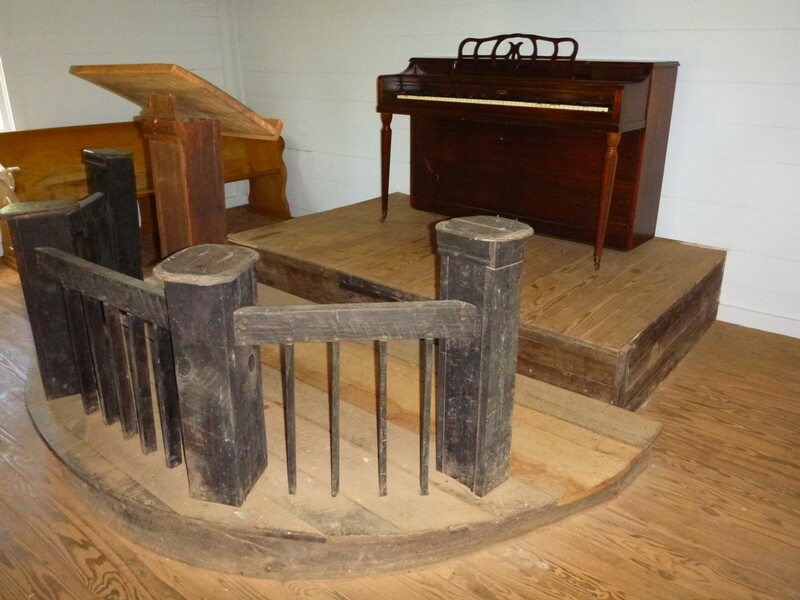 It now hosts weekly music jams on Saturday afternoons over the summer. During the Christmas season, the store sells locally grown Christmas trees and wreaths. 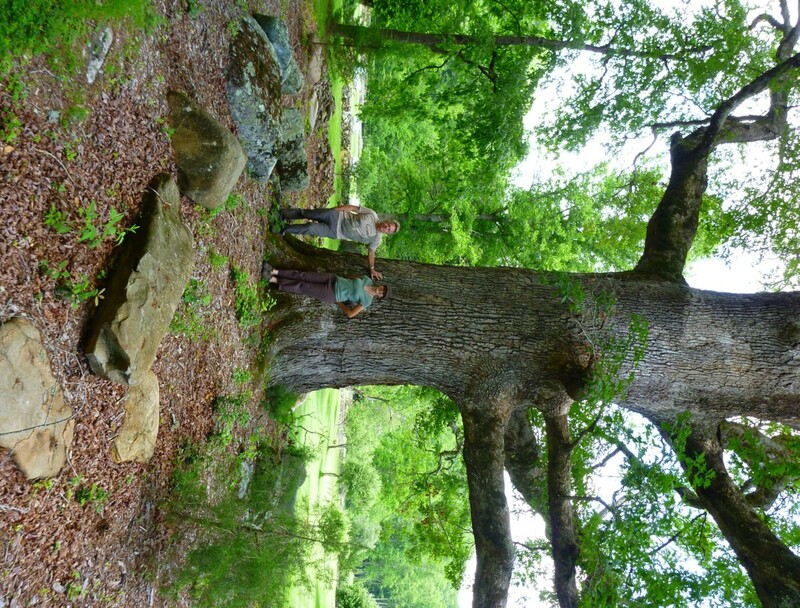 We visited the Tellico Oak, a champion as measured by the volume of its wood. 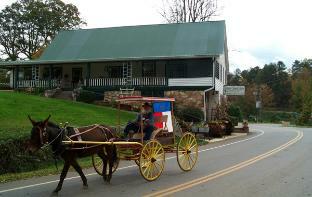 All in all, an area that has a wide variety of attractions. I feel that I just barely scratched the surface, and I look forward to returning. 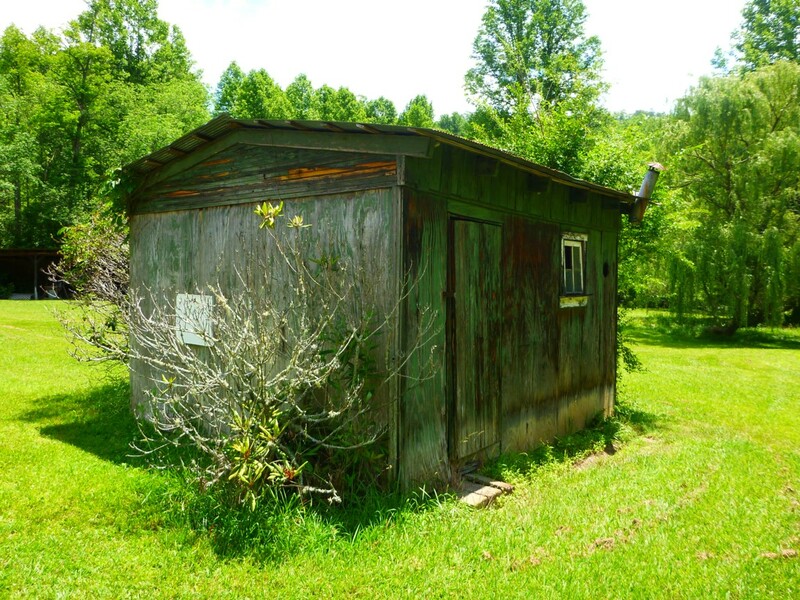 I would also like to revisit Alarka Laurel, a bog in the Cowee Mountains that has the southernmost population of red spruce.